The Panhandle is a long narrow stretch of park that juts out from the end of Golden Gate Park near the famous Haight-Ashbury district. A mile long and one block wide, at pretty much anytime of day you will find joggers, cyclists, walkers and a host of other movers taking in the sunshine. 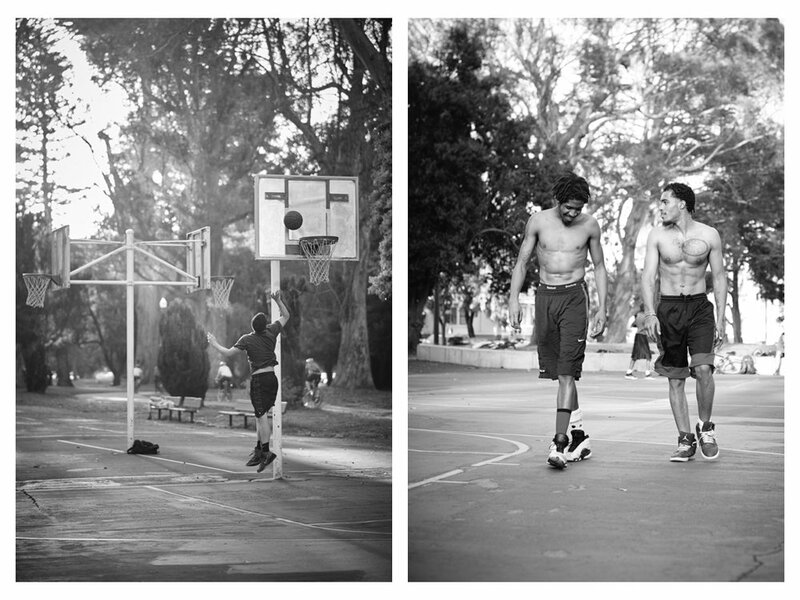 Central to the park are the basketball courts, full of characters and full of stories. Every day at 6pm there is a pick up game playing, with a group of like minds who come to unwind and play ball. The courts have long had a history of community, with families from the houses that overlook the Panhandle coming together to connect and enjoy the day chatting and playing. Today, many of the families have moved on. The area has gentrified, losing much of its special community element. But on the courts the camaraderie is still there, where your willingness to play counts for more than the house you live in, the car you drive and the job you do. On these courts the currency is basketball.